Each month St. Rita of Cascia High School honors one student from each class to be the Mustang of the Month. In order for a student to be considered for the Mustang of the Month Award, he must excel or stand out in at least two of the following areas: academics, activities, athletics, spirituality or community service projects or programs. 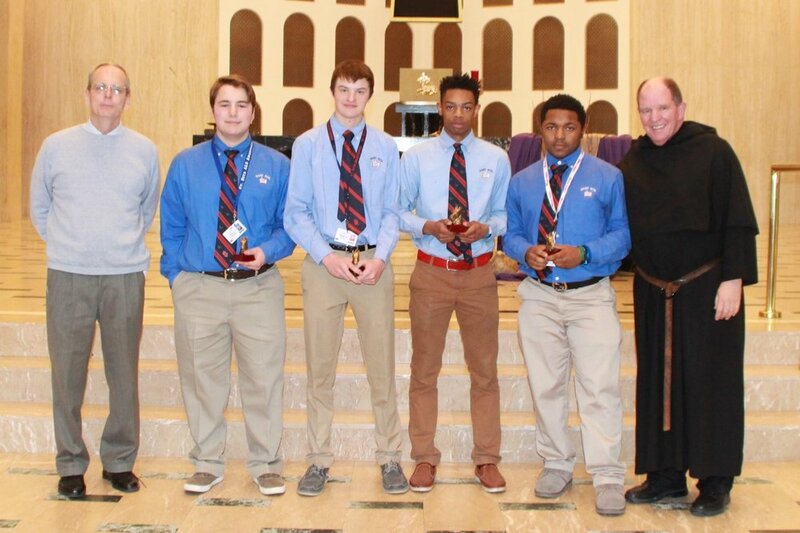 Nominees for Mustang of the Month are those students who are vital elements to what St. Rita of Cascia High School is all about and whose efforts, accomplishments and contributions to our community sometimes go unnoticed. The member of the Class of 2021 chosen to be our March Freshman Mustang of the Month is Tommy Gikas. Tommy comes to us from Oak Prairie Junior High and is a member of St. Bernard Parish. Tommy has had quite a busy first year at St. Rita. Not only has he be succeeding in the classroom, he was on the Freshman Basketball Team, is a Freshman Class Student Government Representative and is now playing baseball. Tommy plans to be a part of the Big Brothers in the future and work toward induction into the National Honor Society. Representing the Class of 2020 as our March Sophomore Mustang of the Month is Joel Watts. Joel is a graduate of James Hart Junior High and a member of Victory Apostolic Church. Joel is a member of the St. Rita Varsity Basketball Team and French Club. Outside of his time here he assists with coaching his brother’s AAU team. Joel hopes to one day become a psychologist. Representing the Class of 2019 as our March Junior Mustang of the Month is Kyle Gustafson. 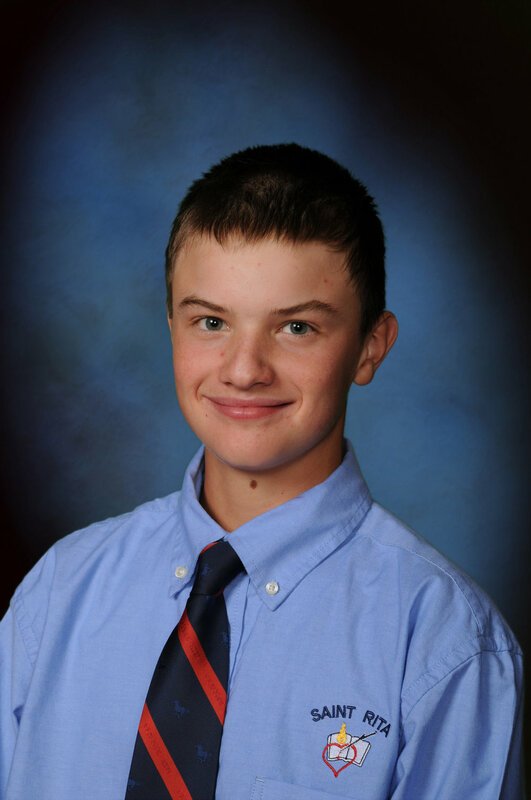 Kyle attended Lakeview Junior High and is a member of Christ the Servant Parish. Kyle is academically among the top students in his class and he is also excelling outside of the classroom. Kyle is a member of the Varsity Hockey Team, the NATIR Satirical Newspaper, the Social Justice Club, the School Culture Committee, a leader of the STEM Club and a Big Brother. Kyle traveled to Argentina in 2017 as part of the Exchange Program and he will be inducted into the National Honor Society in May. He was a 2017-18 Chicago Catholic Hockey League All-Star and Illinois Showcase Team Invitee. Beyond St. Rita, he keeps busy working his two jobs at Village Greens Golf Course and Moo-V-Night Outdoor Movies. 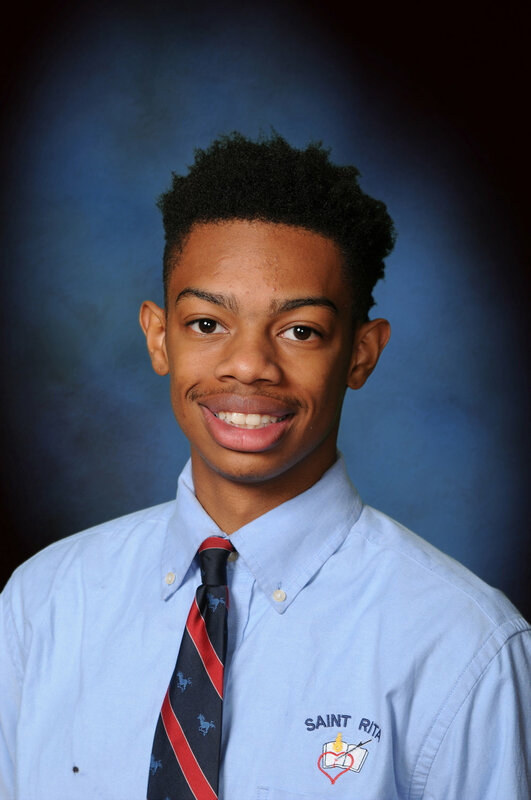 Leading the Class of 2018 as our March Senior Mustang of the Month is Ray Bouye. Ray came to us from St. Sabina Academy and is a part of the Christ Kingdom Ministries Community. During his years at St. Rita, Ray has been a key member of the St. Rita Football Program and he has also taken part in the Cooking Club. Ray is active outside of St. Rita as well, he mimes for his church, helps coach sport teams with his older brother and assists his elderly neighbors by shoveling their snow and cutting their grass. Ray finished his Caritas Project early this year, partnering with Louis Cox to make “Epic Care Packages” for the homeless of toiletries, socks and other needed items.